I stepped out on the streets of Dhaka at around 9:00 pm and scene was eerily reminiscent of a horror movie. It's one of those scenes where the lone pedestrian is about to be devoured by a creature from the nether worlds. The streets of Dhaka, the most chaotic and ugly parts of the city were eerily silent and devoid of traffic. Gone too, were the roadside tea stalls. So there I was standing bewildered in the middle of the darkened road, with all the market and plaza's around me closed. As I tried to make sense of what was wrong with the streets a sudden force literally brought me back to reality. I looked at where my shoulder bag should have been. I saw empty vapid space. Next thing I knew, I was involved in a chase scene. I was running hard in all my chubby glory chasing a thinner and blacker version of Fido Dido. However I managed to get back my bag after a lot of matrix stunts and punk dialogues. Completely shocked by the consecutive shocking events that took place, I finally managed to sit back and relax in one of the Mama's tea stall (found after walking several blocks). Set with a cup of hot tea, I finally started the thinking part. For the last few days I have been hearing a lot of 'Dhor,Dhor…' followed by public jeering. It usually involves a mugger caught red handed. It seems the 7 0'clock shopping mall curfew has seen a rise in the mugging rate. Why is that so? One possible answer could be the removal of vendors from the streets of Dhaka without any sort of rehabilitation. There are a significant number of vendors in Dhaka's streets selling food, tea, cigarettes etc. What do they do now that their livelihood is shot? Some may find work as a guard or pulling a rickshaw. 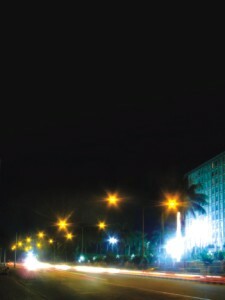 But the point is that when the streets are empty while the night is still young, many people do not have anything to do. Some may have to survive by targeting the ordinary citizens due to having nothing better to do. In the darkened roads with all the markets closed and lights going out now and then, it becomes easier for these amateur muggers to mug anyone after 7:00 or 8:00 pm. That clears out the mess in my head. But it gets clearer when I talk to a sociologist, one of my teachers. The closure of the markets and removal of vendors from the street can be a possible reason to explain why mugging rates are going up. But surprise, surprise! This has some good effects too. This time many muggers are being caught and charged. Ask why? As more criminals are popping out, the ordinary citizens are ganging up against them. Note that this is a sign of unity. We are uniting ourselves against deviance. Being optimistic, I can say the society is waking up and discovering itself in a new way. Even a few days ago we wouldn't dare think about giving muggers a good chase. Yet now we are doing that. This is just a sort of transition period. If public continues to respond like this towards muggers, police and RAB and certain to get stirred up. Eventually that may lead to strict maintenance of law and they take necessary steps to rehabilitate these amateur muggers. Or so we can hope. Markets closing after 7:00pm force everyone to do the last minute shopping in the morning before going to the office. That means a change in lifestyles of the shopkeepers who usually wake up at 9:00 and open the shop at 10:00. The computer business, also known as the 'business for kings', has to start early and catch their university going customers. There is also a major change in lifestyle of certain families. Think of the families with school going children and office going executives. The dining hour has changed. If it was at 10:00 or 10:30 pm, now it has been shifted to 9:00 or 9:30 as there is nothing to do except for watching TV or browsing the internet. Many families now prefer to visit their relative's house or neighbors. The time consuming social interaction which we'd forgotten due to our so-called tightly packed schedule is back. Financial dealings in Kachabazaar, PQS or Agora are now more expected to be dealt by the ladies or moms in middle class families, as the usual breadwinner of the house cannot always make it before the office time everyday. I figured this out after seeing tonnes of ladies barging in and out of the stores early in the morning. Deep down inside, things have different meanings. God knows whether our caretaker government has any idea about these changes. It would have been better if proper research were done on these 'Market closure' and 'Removal of vendors' types of issues. Many shopkeepers demanded they are facing terrible loss due to the closure of markets at 7:00. These are a hand few problems that need to be addressed among others thus we believe a literate government would serve the nation and its people better than a rash one.